New red hot pocket style metal weed pipe, pipes for real stoners. Home > Shop > Red pocket pipe for bud smoking. Red pocket pipe for bud smoking. New 2.5" long. red metal weed smoking pipe, pipes. 2 pieces.black rubber tip covering. comes with free smoking pipe screens and free shipping. 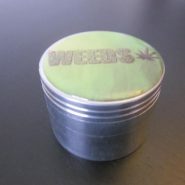 Tobacco grinders to cigarette rollers, rolling papers, lighters, and much more. good for stoners.